Imagine my delight when a cheese store opened in my neck of the woods: Quel Fromage. I’ve discovered many beloved tastes here like mango ginger stilton and Cougar Gold white cheddar (the gourmet cheese that comes in a can). 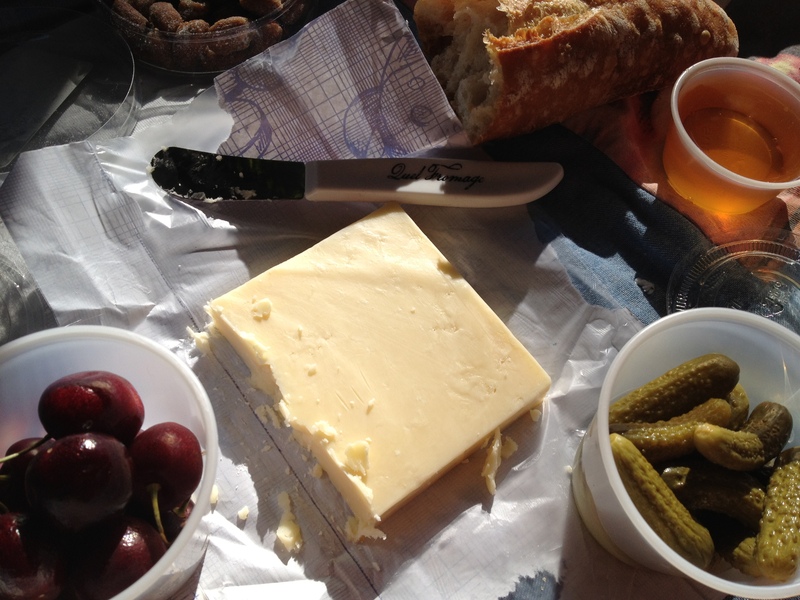 Recently, when friends and family have been in town, we’ve taken advantage of the cheese store’s Fromage-a-Go-Go. 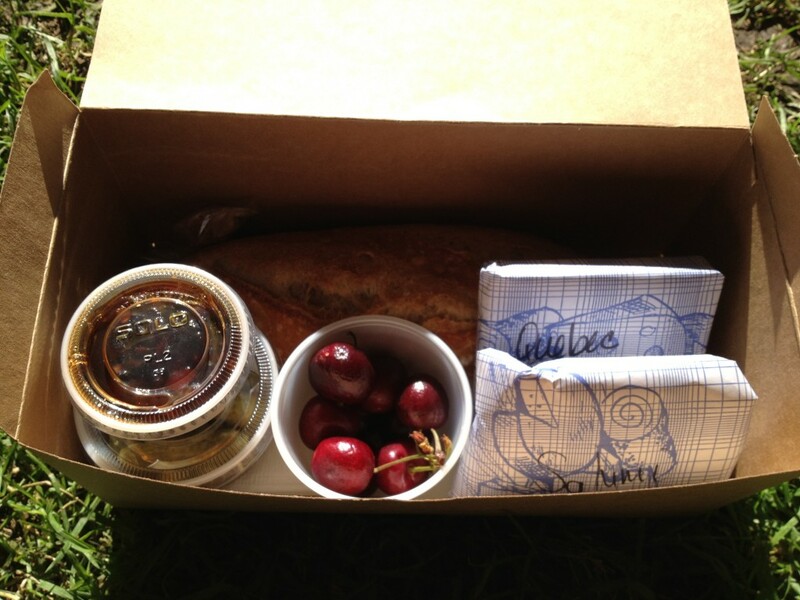 They pack some cheese, bread, fruit, and other tasty essentials in a convenient box; perfect for a trip to the park. There are three selections to choose from, all available from May through September, and all rounded out with a cheese spreader and a sweet bite of chocolate or caramel. Our niece was staying with us a couple of weeks ago and we thought it would be fun to grab a box of cheese for dinner and enjoy some live music at Elizabeth Park (part of the Bellingham Parks and Recreation’s Concerts in the Park series). We chose The Mt. Baker and The Chuckanut. We supplied the beverages and a blanket, and our niece provided the never-ending entertainment of a 12 year old. What we should have brought is a vegetable, since it’s the only food group missing from this meal (pickles don’t count). 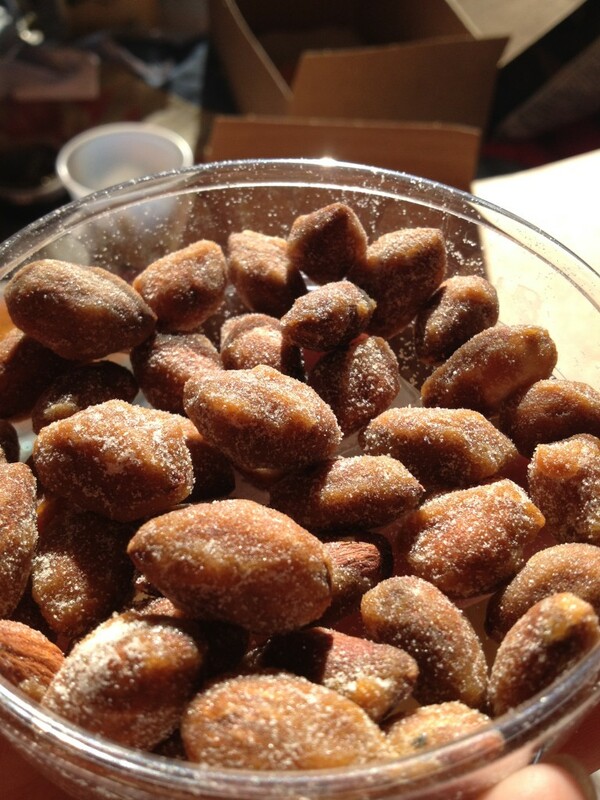 One additional item caught our eye in the store and we were extremely happy with our choice: creme brulee almonds. The were the perfect finish to our outdoor feast. 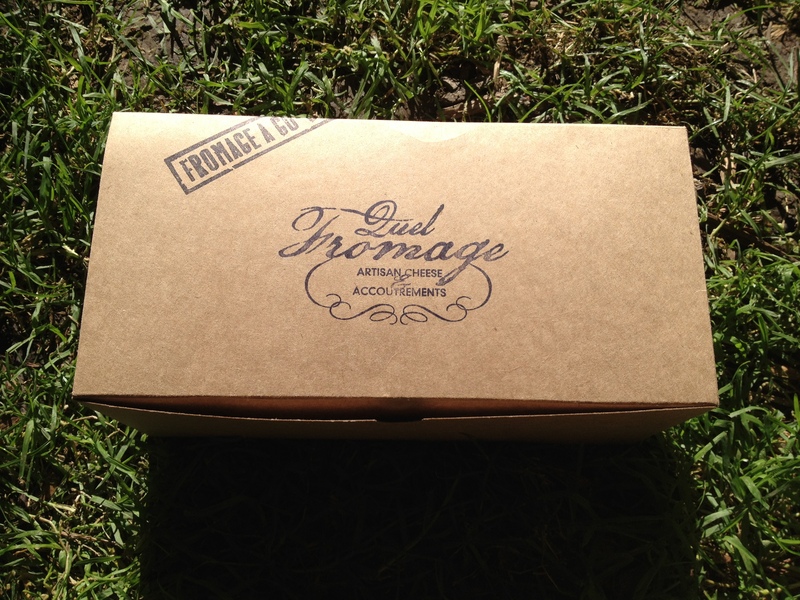 Each box is $20 and it’s hard to say how many you might need for your meal on the go. Once, with four adults and 2 children we got all three boxes and had way too much food. This time, with two adults and 1 kid, we got two boxes. We ate all of the bread, but definitely had leftover cheese. There’s really no harm in having leftover cheese. In fact, it could be the inspiration for another cheese party! Do you have any shops or restaurants near you that offer a creative meal to go? What a great idea, I had no idea this was a possibility. Can’t wait to try it. Thanks! I agree. So cool that they came up with such a fun idea. Let me know if you try it!